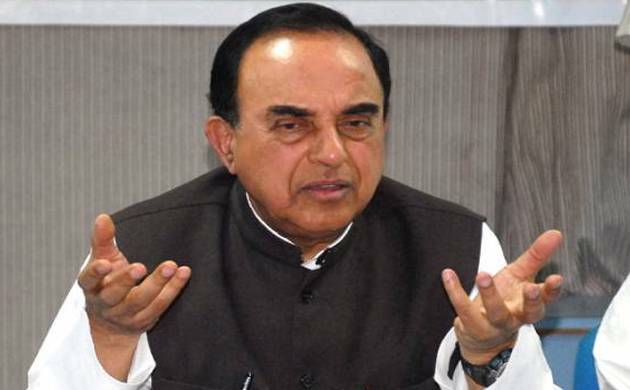 Subramanian Swamy fires at Raghuram Rajan, calls him a "time bomb"
Firing yet another salvo at RBI Governor Raghuram Rajan, BJP MP Subramanian Swamy today alleged that the former IMF chief economist had planted “a time bomb” in the Indian financial system that will explode in December. Swamy, who had last month written twice to Prime Minister Narendra Modi seeking ouster of Rajan for keeping interest rate high, took to Twitter to criticise the Governor. “R3 (Raghuram Rajan) planted a time bomb in our financial system in 2013. It is timed for December 2016. The redeemable USD 24 billion in f.e. to be paid out by banks,” he tweeted. He did not specify further. The ‘f.e’ in the tweet apparently refers to foreign exchange. There was no immediate response to the query sent to RBI spokesperson Alpana Killawala in this regard. On May 26, Swamy had levelled six allegations against Rajan, including that of sending confidential and sensitive financial information around the world, and asked the Prime Minister to sack him immediately. The Governor clarified that he “welcomes genuine criticism of our policy, but will not address ad hominem attacks” or allegations against him as an individual instead of the policies and the position he holds.